CE Center - Too Transparent? Explain why energy codes are leading architects to rethink the use of all-glass facades. Identify design features that warrant consideration in response to new energy codes and occupant demands for improved comfort. Discuss how high-performance glazing, shading, dynamic glass, fabric membranes, double-skin facades, and building integrated photovoltaics are helping to support expansive glass facades. Assess, through case studies, successful applications of these technologies in achieving energy savings and increased user choice and comfort. 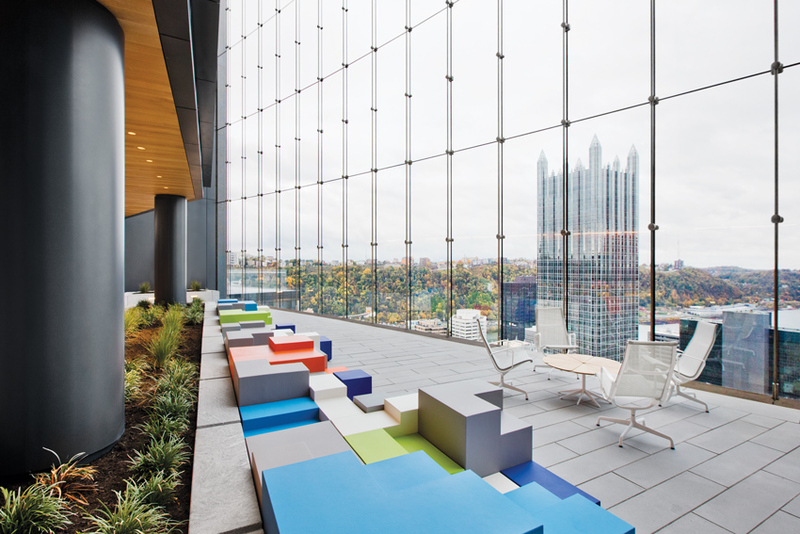 Described as the greenest high-rise in the country, Pittsburgh’s Tower at PNC Plaza successfully merges an expansive glass facade with highly energy-efficient technologies. Furthermore, ASHRAE Standard 90.1 and California’s Title-24 are already making an impact now, guiding nonresidential buildings to limit window area to 40 percent or less of the total wall area, while requiring high-performance glazing that balances thermal performance with high visual light transmittance for daylighting, according to Erik Ring, P.E., LEED Fellow, principal of LPA Inc. in Irvine, California. So, in order to overcome the modeled energy penalty associated with the poor-performing, all-glass envelope, designers are more seriously evaluating technologies such as high-performance, insulated low-e glazings, electrochromic and photochromic glass, solar shading, double-wall facades, and, to some extent, building-integrated photovoltaics (BIPV). That said, it’s important to point out that the codes that more directly address window-to-wall ratios only do so from a prescriptive-design approach, still leaving room for designers to well exceed the recommended 40 percent ratio, as long as they can ratchet down energy consumption in other ways, i.e. a performance-based approach to meeting code. “The newer, stricter codes are certainly making a drive toward a more energy-efficient building. As a result, it pushes us as architects to rethink the traditional ‘glass box.’ This inherently encourages the use of less glass in the facades and a greater use of high-performance glazing and high-performance mechanical systems, but doesn’t mandate anything,” explains Laura P. Beene, AIA, LEED AP BD C, project designer/project manager for Earl Swensson Associates (ESa) in Nashville, Tennessee. In other words, buildings can’t be viewed as isolated elements within the built environment, he says, and more effective results will need to come from designers performing more extensive analysis and energy modeling to achieve high-performance metric targets.